The US Navy wants to create a version of the TOPGUN program, but for submarines. The United States Navy wants to create a special unit that will mimic Russian and Chinese submarines to train their own submarine crews. "We're taking a page from naval aviation and we're establishing an aggressor squadron with a team that will become experts in employing our adversaries' potential capabilities and then set them up to be able to go head-to-head with our units so that we're always training against what we think is the highest fidelity simulation I can give them in terms of what they might be able to expect when they go into combat," US Navy Vice Admiral Charles Richards said, according to The Drive. This is "a cadre that does nothing but emulate red in all of our training and certification exercises," he added. According to Richards, this would be a lot like Air Force's TOPGUN advanced training program, but for submarines. In TOPGUN, pilots who undergo advanced training return to their unit to become instructors themselves. "We have restructured and returned the fast attack training period to ensure that we're ready for that high-end fight, including restructuring what we used to call the Tactical Readiness Evaluation, and it is now a Combat Readiness Evaluation to ensure we're focused on warfighting," Richards commented. "I want to produce winners and losers just like we do in battle; it does you no good to be at standards if your opponent is more at standards than you are. You still lose, and in this competition, you may not come home." Sounds cool, right? Having a team known in military jargon as ‘aggressor' or ‘opposing force (OPFOR)' or simply ‘red' entirely dedicated to simulating attacks on your own fleet should be beneficial to combat readiness. In reality, however, things are much more complicated. Currently there are no submarines to equip an OPFOR unit. 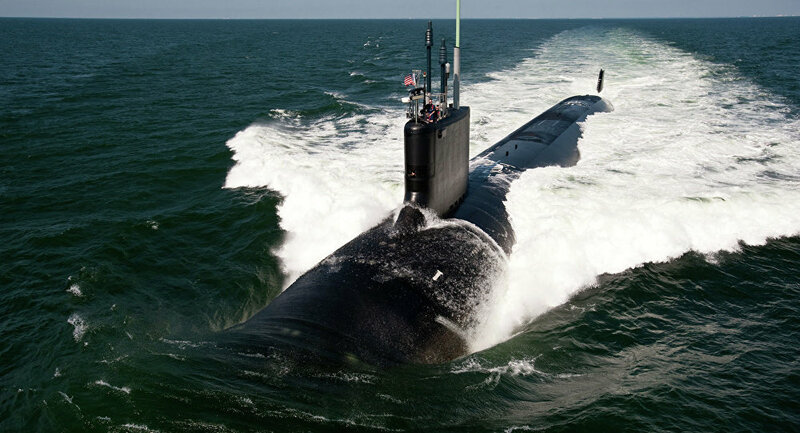 The US Navy struggles to equip its regular fleet with submarines, due to a major maintenance backlog. The most extreme example of this is USS Boise, a Los Angeles-class submarine that will have been out of action for two years when it returns to service in 2019. At present, there are no plans to give the submarine aggressor squadron its own boats, US Navy Commander Sarah Self-Kyler, a service spokeswoman, told USNI News. Without its own submarines, a ‘red' unit will have to wait until a sub is ready to take on an ‘aggressor' training mission, significantly limiting the number of operations OPFOR could carry out, and significantly curbing the opportunity to transfer the experience to other crews. A larger problem is obviated by the US Navy's nuclear-powered submarines, which it considers to be superior to diesel-powered boats. However, not only nuclear subs are significantly more expensive to produce and maintain, they also have a certain acoustic profile, which is not only unsuitable to train sub crews in finding Russian subs, it is simply much louder. Both Russia and China use so-called air-independent propulsion systems, which run on electric batteries and are charged by a diesel generator, allowing them to move in almost absolute silence, as long as the battery has charge. The Kilo class Russian submarines have been nicknamed Black Hole by the US Navy for their silent operation. Nuclear subs, on the other hand, have to constantly pump coolant and use other systems that generate a constant, if weak, noise profile. In 2005, the US borrowed a Swedish AIP submarine, the HSMS Gotland, to act as an aggressor during navy drills. To the Pentagon's surprise and embarrassment, the submarine successfully ‘sank' a $6.2 billion US aircraft carrier, sneaking into the carrier defense group without notice. The outcome was replicated several times during the two years of war games, along with multiple kills against US attack subs and surface combatants. US Navy acoustics were not prepared to intercept a stealthy boat. If the US Navy wants to create a realistic threat simulation, it will benefit from procuring its own small fleet of AIP submarines, specifically to equip its training OPFOR unit, The Drive speculated. Diesel-electric submarines are cheaper than those powered by nuclear reactors and allow for smaller-scale operations, freeing up the nuclear fleet for longer and larger patrols, the website suggested. 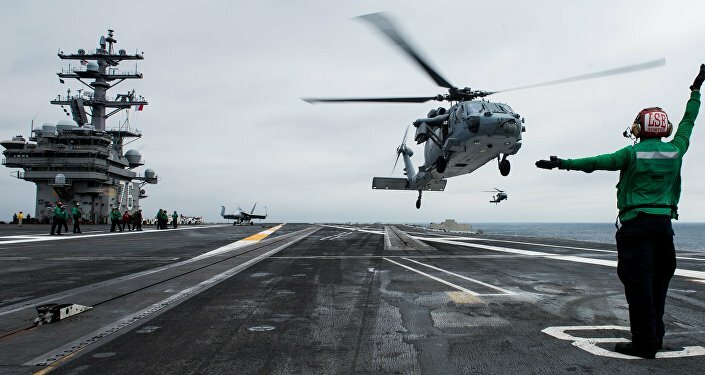 "The service looks to be facing a number of complex decisions in the future in order to truly get the most from this important new training capability," it read.